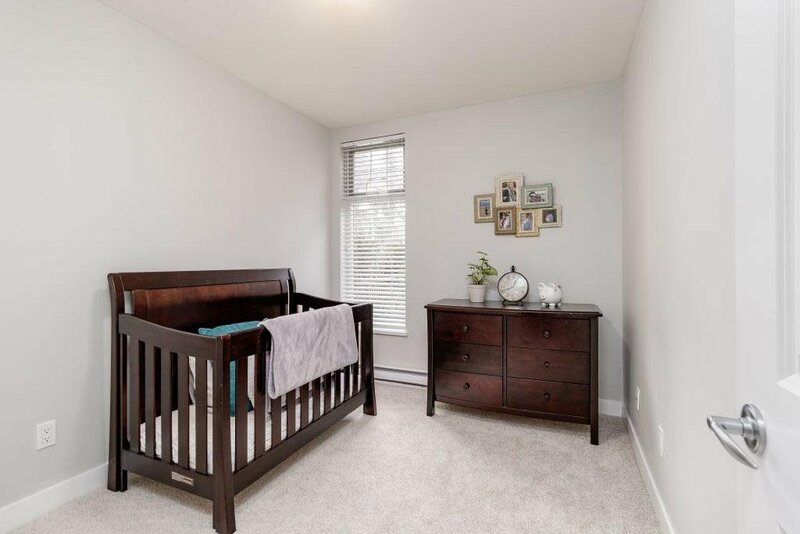 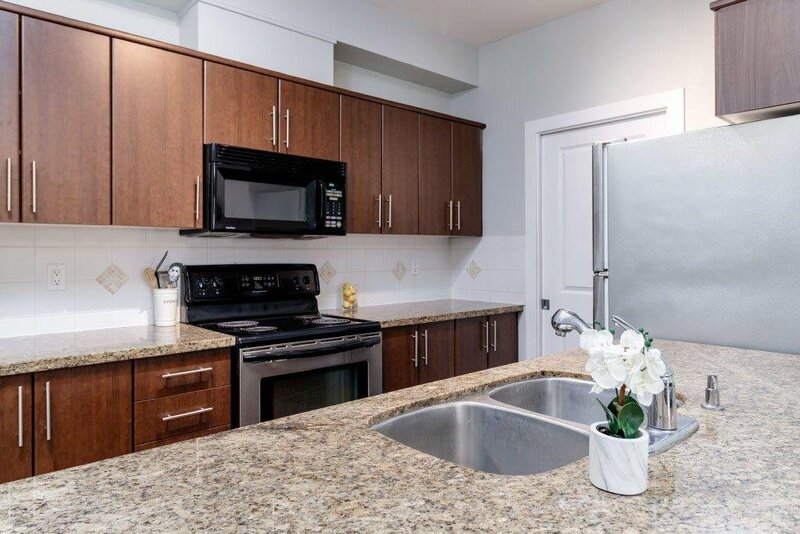 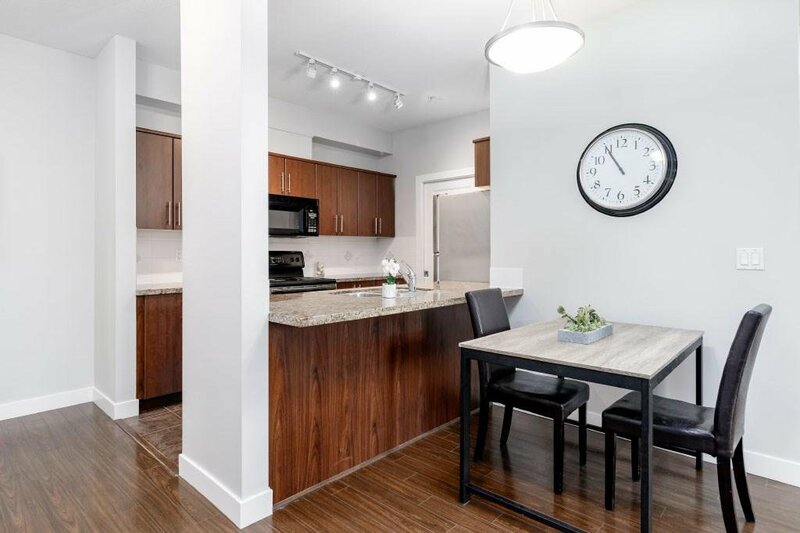 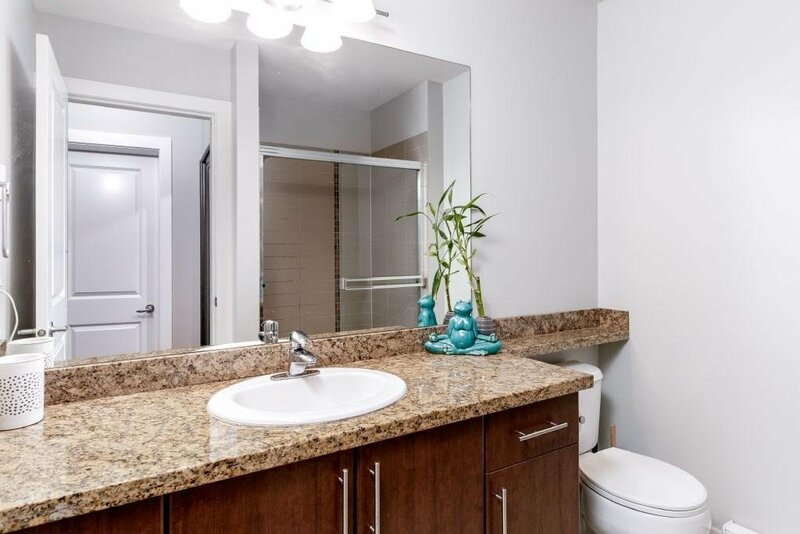 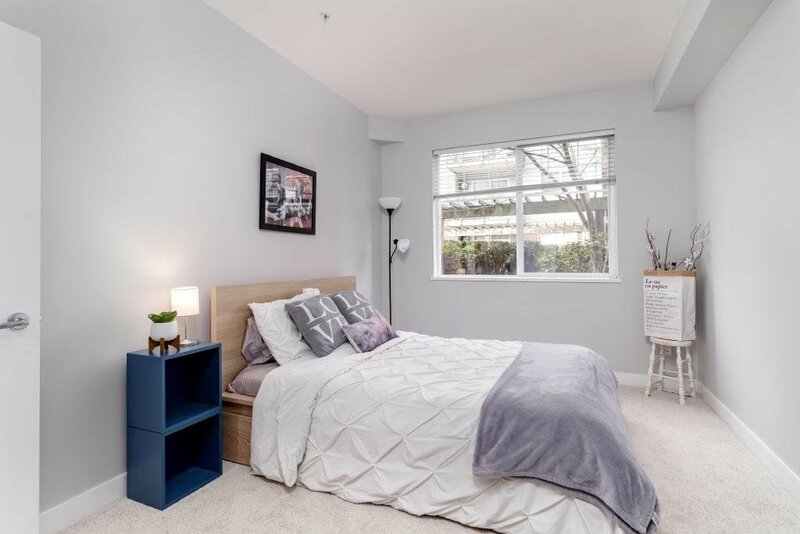 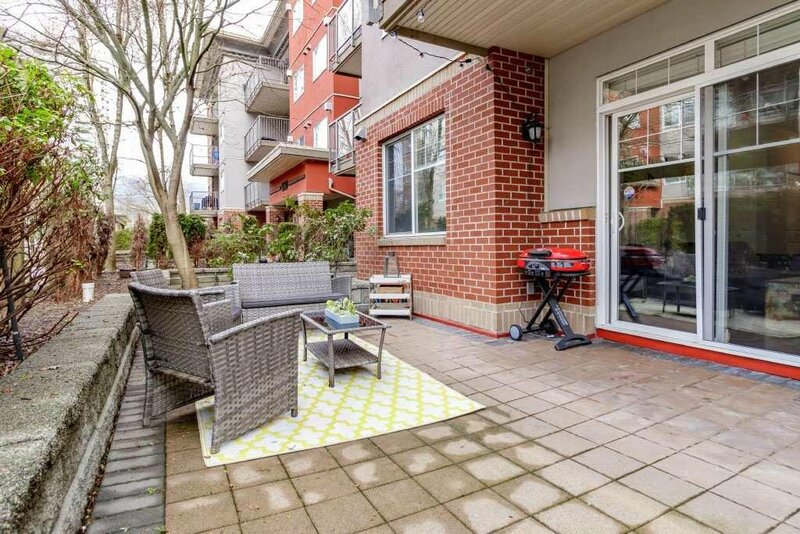 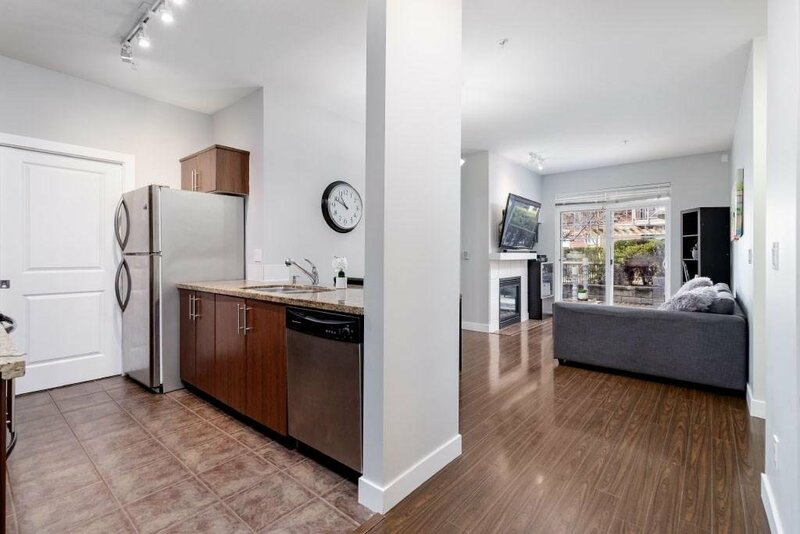 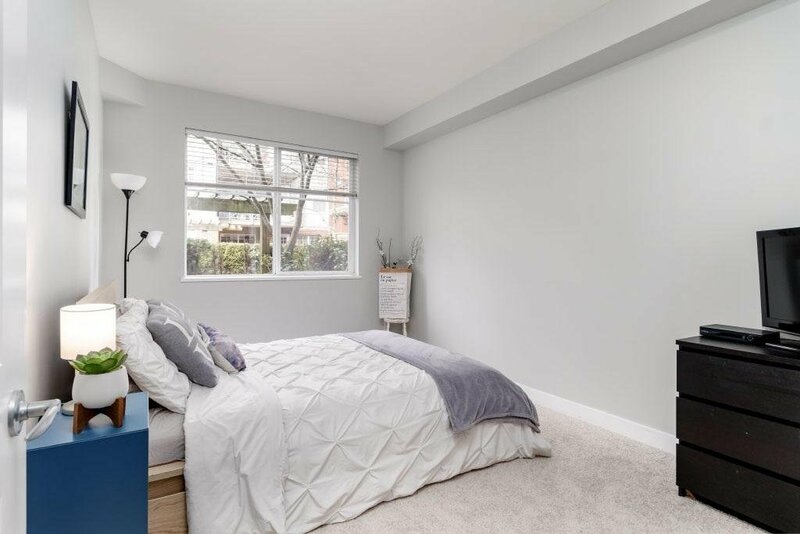 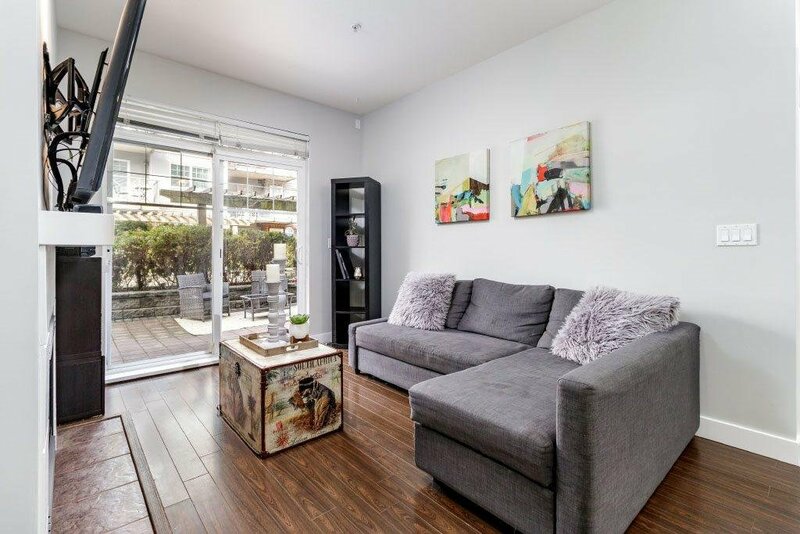 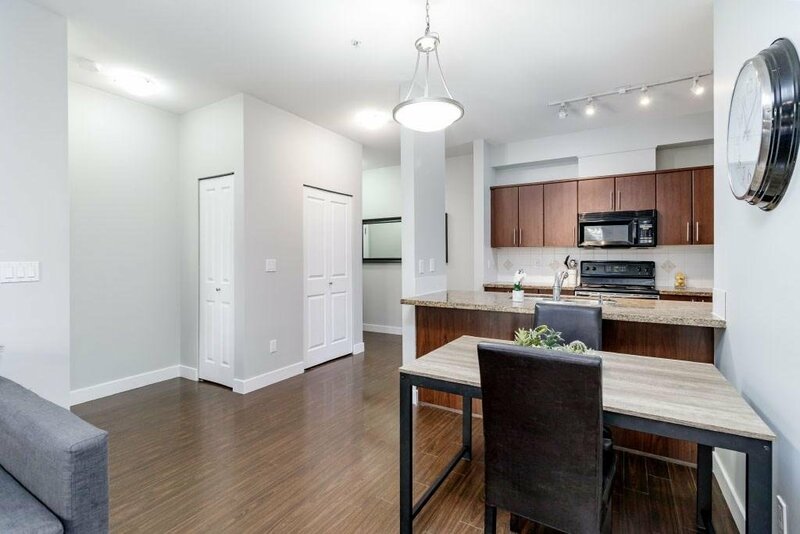 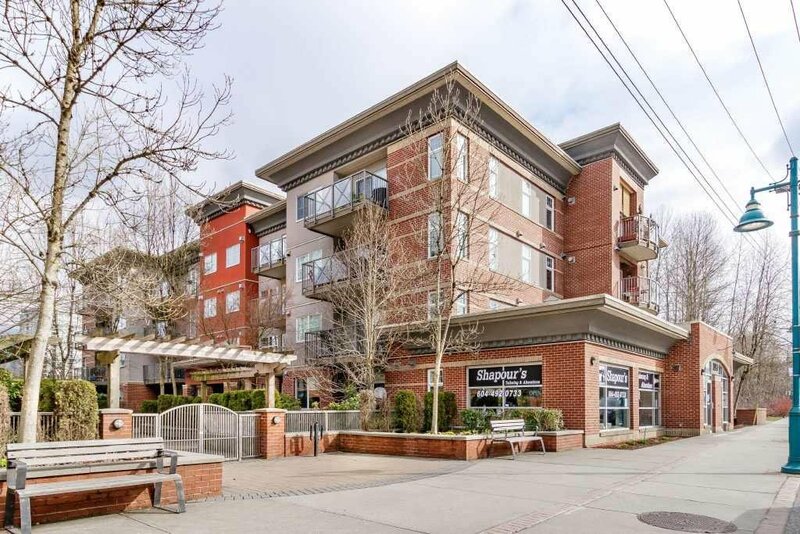 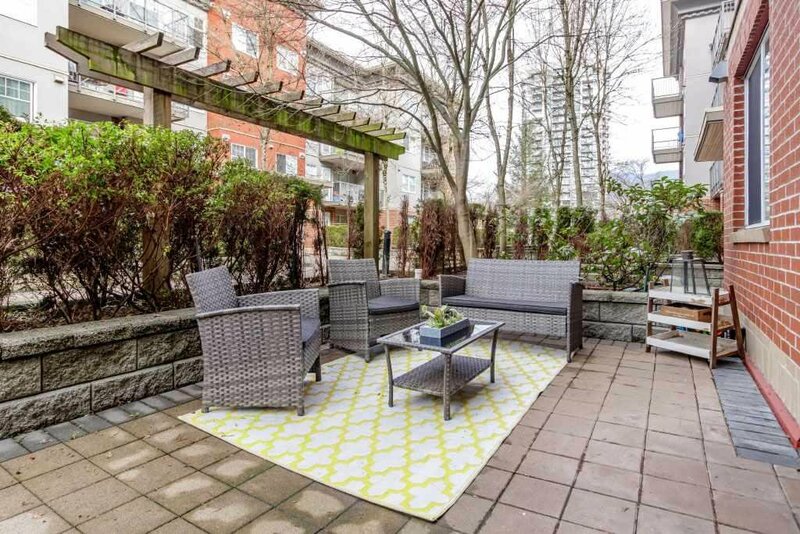 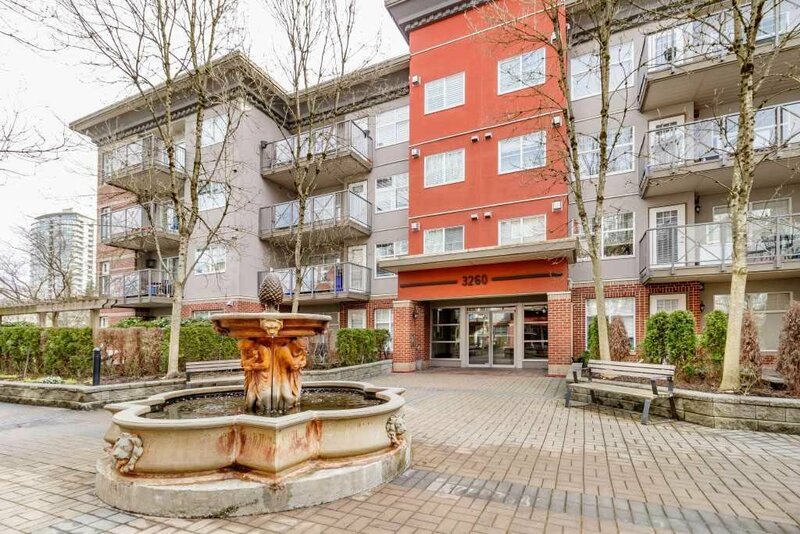 This beautifully maintained 2 bedroom/2 bath unit is centrally located in the heart of Port Moody. 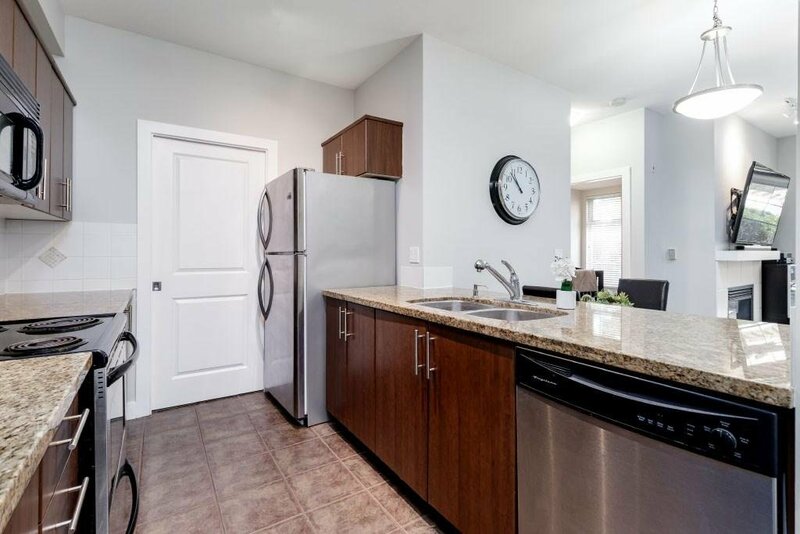 The large kitchen has granite countertops and plenty of cupboard space, a breakfast bar, pantry and S/S appliances. 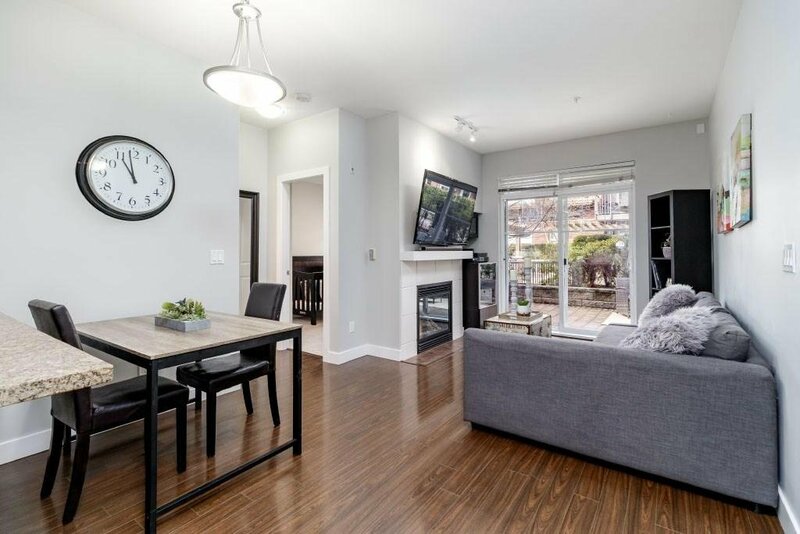 The living/dining area features a cozy fireplace and there is lots of natural light from the sliding glass doors that lead out to your LARGE private ground floor patio. 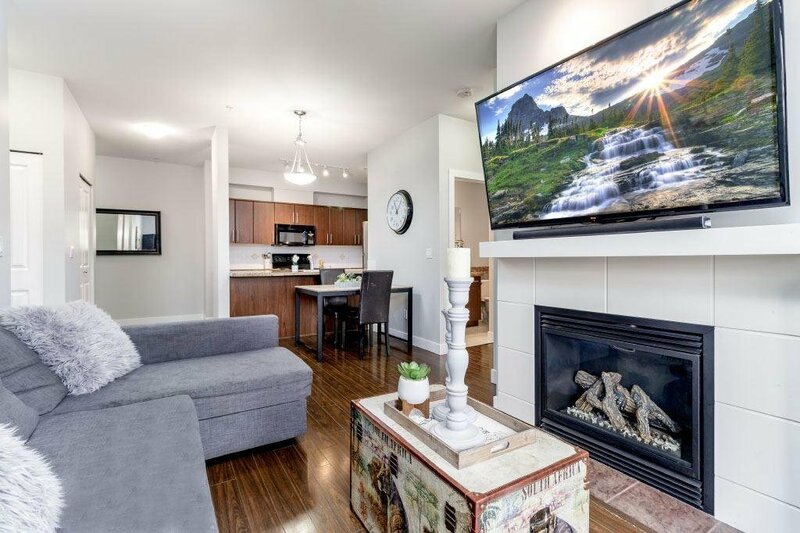 Relax in the large master with walk-thru closet and 4 pc ensuite. 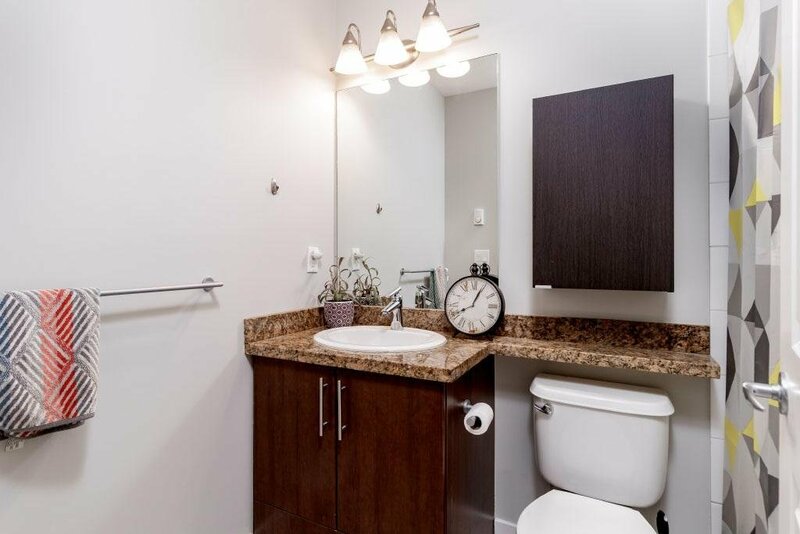 In-suite laundry and extra storage locker, plus 2 parking stalls are an added bonus! 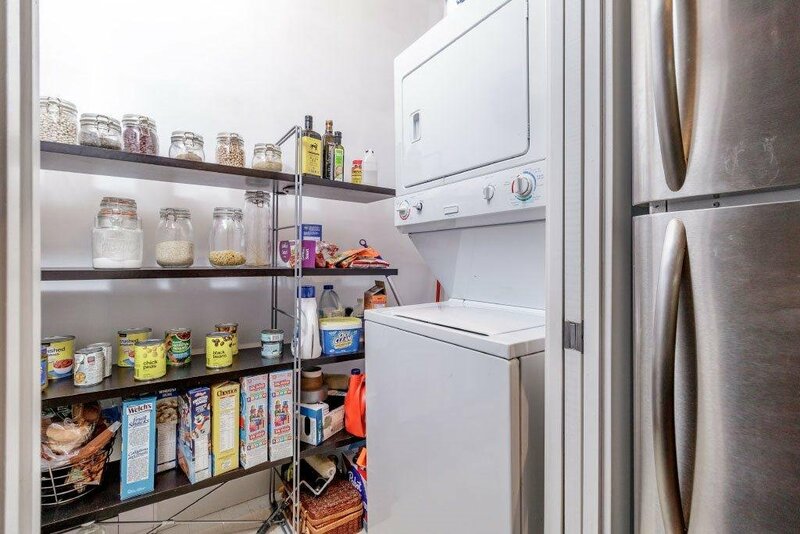 PETS and RENTALS allowed! 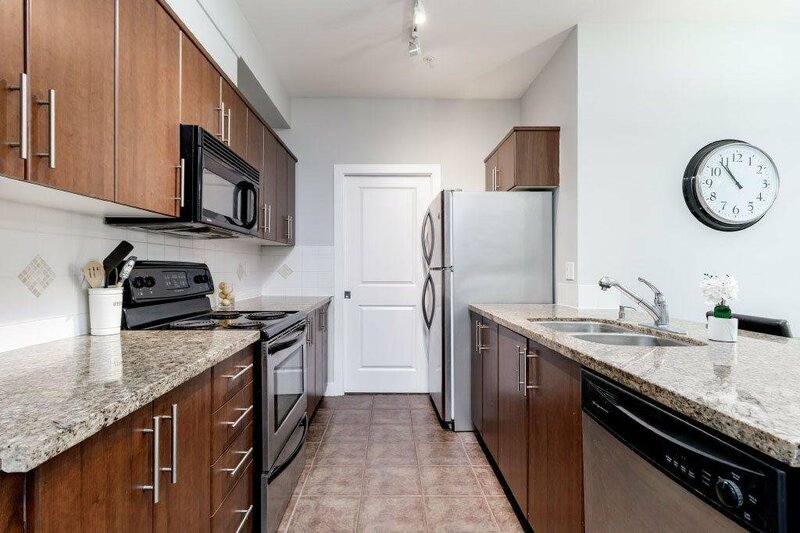 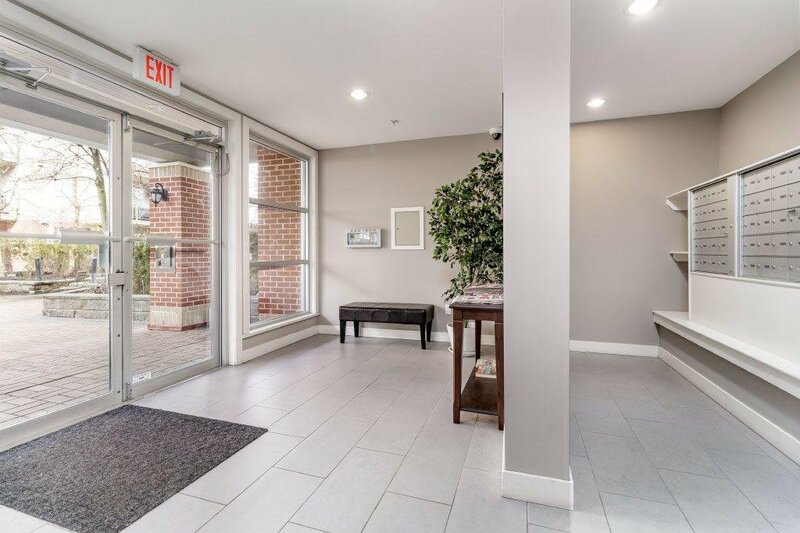 Your new neighbourhood is close to Rocky Point, Brewers Row, Newport and Suter Brook Village and just a few MINUTES away from Inlet Centre station.